I am the Author & Creator of "Swing Machine Golf," which teaches people the golf swing based on the perfect golf swing of the Iron Byron swing machine. 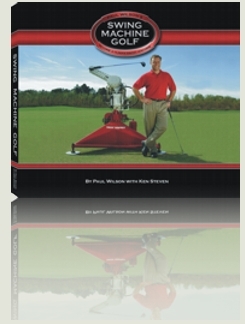 To date, my Swing Machine Golf book has sold over 80,000 copies. As a follow up, I released the 4 DVD Series on the full swing in early 2006. 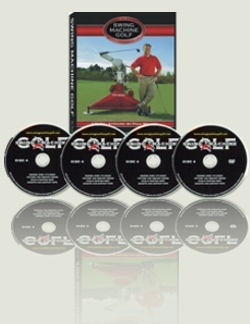 To complete the series, I released the 4 DVD short game series in 2007. In 2012 I created a golf tips website called Ignition Golf. This site contains hundreds of my full swing and short game tips as well as playing lessons. Other experts on the site provide flexibility and mental golf coaching tips. If you are looking to improve your game please check out my golf swing tips website today. For more information on my Las Vegas golf schools contact me here. If you think that golf instruction books are a waste of money because none of them has ever helped to improve your game, you may be interested to know that Swing Machine Golf was specifically designed to succeed where other books have failed. The instruction in Swing Machine Golf was written, tested, re-written and re-tested over a two-year period until I was convinced it could be easily understood and mastered by those who read it without the need for private lessons. The book contains 10 lesson chapters that quickly and easily teach you how to incorporate the 3 key elements of the Iron Byron at every stage of your swing, from grip and setup right through to the finish position. This is the part of the book that builds consistency in your swing. Swing Machine Golf comes with a 90 day guarantee. Just watch the DVD series and practice my lessons and tutorials and you're guaranteed to play the best golf of your life! You will hit the ball longer, cure your slice or shanks. You'll stop pushing and pulling and start to hit more fairways & greens. If you don't agree or are not completely satisfied for any reason, just return the series and your money will be refunded. You have no risk! 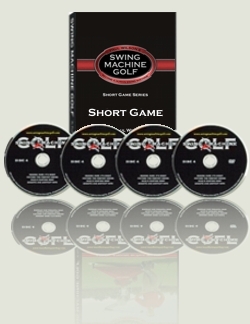 If you are looking to learn a great short game technique, the Swing Machine Golf Short Game DVD Series will not disappoint you.